“Jamie W Hall finds fresh things to say in his short, effective piece; after playing it through I quickly decided to programme it for Christmas services at Chichester in 2015″. on Tomorrow Shall Be My Dancing Day from Sing, Oh! My Love. Charles Harrison, Organist & Master of the Choristers, Chichester Cathedral. Jamie’s various choral works have been performed as far afield as Australia, broadcast on BBC radio and recorded for commercial release. His pieces are published by Novello and Chichester Music Press and have been included in choral anthologies. 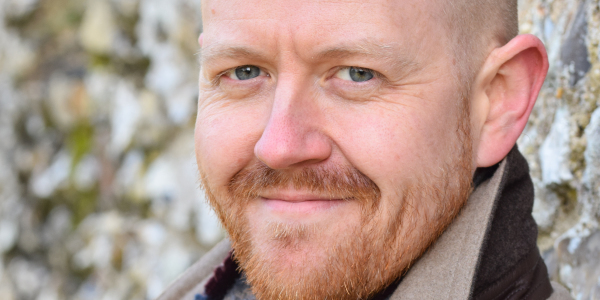 He has also received a number of commissions writing for professional choirs, children’s choirs and amateur parish choirs, producing works that play to the strengths of these very different groups. Indeed he enjoys working within such boundaries and successfully writes music which combines performability with originality. Easter Carol (SATB) Novello Book of Music for Lent and Easter/Novello or individually here. The Lord has Arisen (SSATB) Chichester Music Press – commissioned by the choir of the Chapels Royal, HM Tower of London. As I Lay Upon a Night (SATB) Chichester Music Press/Noel! 3/Novello – recorded by the choir of Worcester College, Oxford: Nowell Sing We/Resonus Classics and by Ora Singers/Harmonia Mundi. Sleep, My Jesu (SATB, SSAA, ATBarB, unison voice + pno) A FREE DOWNLOAD in support of Macmillan Cancer Support. Sing, Oh! My Love – Two carols for Christmastide. (SATB) Chichester Music Press. Tomorrow Shall Be My Dancing Day and Jesus Christ The Apple Tree. Christmas Bells – (2 parts with piano/organ) An easy, non-religious carol for community choirs, male voice choirs or children. Chichester Music Press – COMING SOON. Ave Verum Corpus (SABar) – easy setting for the parish choir of St Thomas More, Seaford. Sing My Name – Song cycle for high mezzo and piano with texts by Marianne L. James. To Every Thing… (SATB) Chichester Music Press – a four-movement cycle setting texts by Reuben Thomas. Curiouser and Curiouser! Three Lewis Carroll settings for Children’s choir. One or two voices and Piano. View a PDF sample score here.